Family in Ghana can call for free! Our new 20€ Ghana Bundle lets you give loved ones on the Tigo network 1000 minutes of free calls to your Vectone Mobile number. Additionally, you will receive 1GB data and 200 France minutes. Calling from Ghana can be expensive – not anymore! By subscribing to the Ghana Bundle for €20, you can give 1000 minutes of free calls to any family member or friend on the Tigo network. That way, they can call you for free whenever they wish and it works out at just 0.02€/minute for you. If you have more than one special person in Ghana, that’s fine too. You can double up this bundle with a second Tigo number, so you can talk twice as long to loved ones in Ghana. If your friends and family aren't on the Tigo network, you can order them a Tigo SIM with the bundle. Simply have your loved one collect their Tigo SIM from the location of their choice. 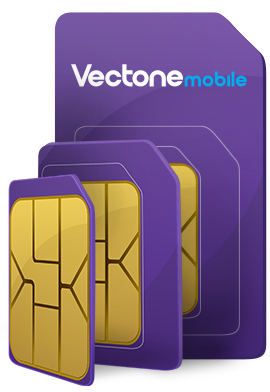 Eligibility & validity: This service is only valid between Vectone Mobile and Ghana Tigo network customers. Any remaining allowance after validity will not be carried over into the next period should the customer repurchase their bundle. Allowances are valid for 30 days. Allowances cannot be used for roaming.